It takes NCsoft’s half a year to reach western shores following a mid-2012 launch in Korea. 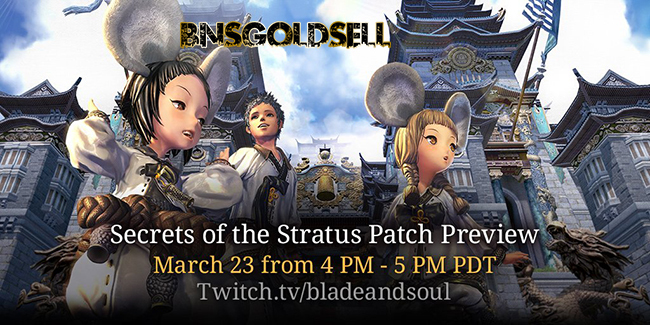 Now, NCsoft announced that a new expansion named Secrets of the Stratus will be revealed for Europe and North America version on April 12, which includes overhaul skill system and main story with some significant changes to Blade and Soul. 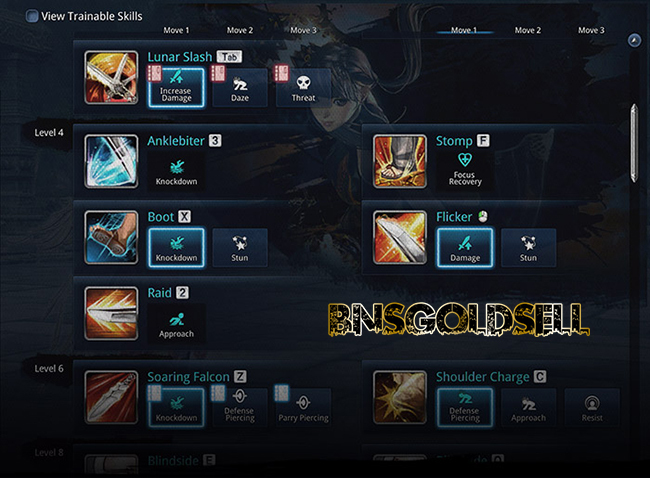 If you want to buy cheap Blade and Soul gold, BNSGoldSell provides huge stock of Blade and Soul gold with fast delivery! The new skill system in Secrets of the Stratus will make it more user-friendly, which allow players the same degree of customization as before. Also, it brings with Act VII of the main story and many PvE areas which is suitable for end-game players. Some other new content, like Naryu Sanctum is a treasure-filled six-player dungeon for six players and full of incredible rewards. A new Training Room facilitates solo skill combo practice and Mushin's Tower is being upgraded to include new floors and leaderboards. Naryu Sanctum, for example, is a treasure-filled six-player dungeon; while Celestial Basin marks a new open-world zone for casual-leaning players. Mushin's Tower is being upgraded to include new floors and leaderboards, while a new Training Room facilitates solo skill combo practice. Skill Tree Revamp is the new skill system! Skill points and the skill trees for each ability have been removed, and instead replaced with a more intuitive and simpler solution that maintains build customization and fluidity. What’s the most important change is that "Blade & Soul is getting a purchasable voucher that will let players instantly create a new level 50 character," so says NCSoft. This change will let players who have been absence BNS or try out a new class quickly to experience a brand new high-level character. According to official announce, Secrets of Stratus is due April 12, 2017. More information will be published on official site.